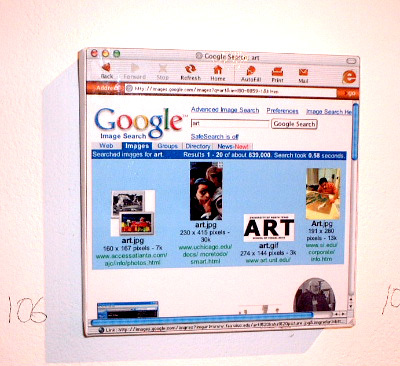 Google Art – 2002 | JONAH BRUCKER-COHEN, PH.D. Google Art – 2002 – JONAH BRUCKER-COHEN, PH.D.
“20/20” show, Dec 5 – 25 @ Temple Bar Gallery, Dublin, Ireland. 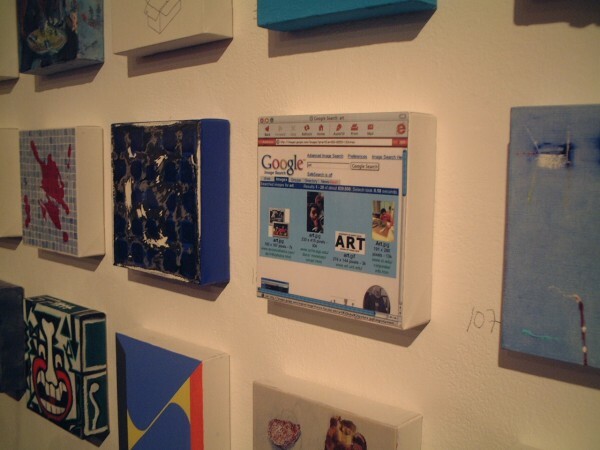 “Google Art” was my entry into the 20×20 show at Temple Bar Gallery, in Temple Bar, Dublin, Ireland. Each artist in the show was given a 20×20 inch canvas that they could do whatever they wanted with and it would be hung in the gallery and put up for auction by the general public. For my entry I did an image search on Google for the word “Art” then printed out and lamenated the resulting images from the search and glued it to the canvas. 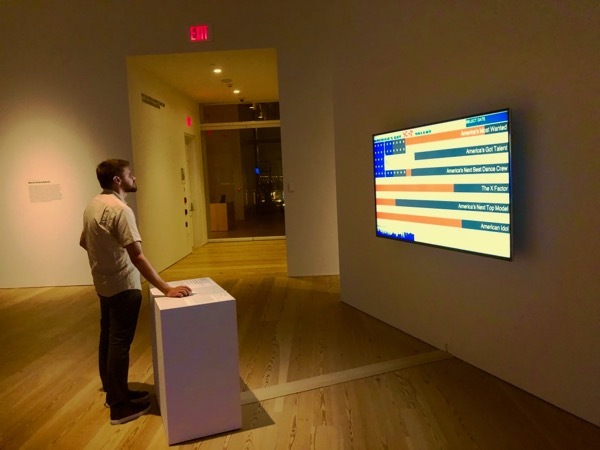 The project was meant to poke fun at the idea of “art” and how the Internet has categorized everything into specific keywords, tags, analogies. Therefore looking up the word “art” in Google, the result is really anything but art, but rather people named “Art”, the way something is described, the way something looks, and other characterizations. In a way, the Internet has helped to dematerialize most material objects and therefore art is following suit as a form of commoditized dataset that is both easily accessible and easy to “generate” from the amalgam of data on the Internet.